Founded by Warren R. McGraw II’s Father in 1963, McGraw Law Offices has since grown into a nationally recognized firm with locations in Pineville and Beckley, West Virginia, as well as in Atlanta, Georgia. The firm’s experienced legal team focuses on complex plaintiffs’ civil litigation, involving matters of significant public policy both in the United States and around the world. With more than 100 years of combined legal experience, attorneys are able to provide skilled representation in cases involving serious personal injury, wrongful death, pharmaceutical litigation, asbestos/benzene exposure, railroad/FELA law, automobile and trucking accidents, industrial accidents, major mass torts and class action litigation, and defective products. McGraw Law Offices has been involved in major litigation in several states and many courts around the country. A few years ago, McGraw served as co-lead counsel in one of the largest flood cases in state history, representing more than 10,000 people in litigation that helped to establish certain mass litigation rules in West Virginia. He was also a lead attorney in litigation involving the 2010 explosion at Massey Energy’s Upper Big Branch coal mine. McGraw has been AV® Preeminent™ Rated by Martindale-Hubbell® and recognized by a number of prestigious organizations. 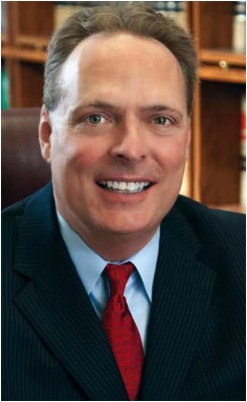 He is a member of the American Bar Association, has been included in West Virginia Super Lawyers, and named one of the top 100 trial lawyers in West Virginia by the American Trial Lawyers Association.